Impact Dashboard — Educate! | Preparing youth in Africa with the skills to succeed in today’s economy. 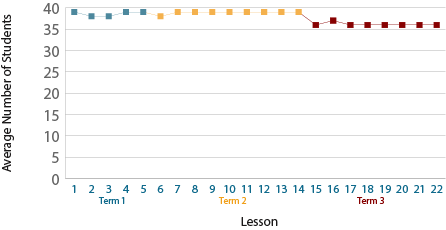 If rates appear low for recent lessons, it is likely because that lesson has not yet been taught in all schools. This is due to the variations in school schedules.